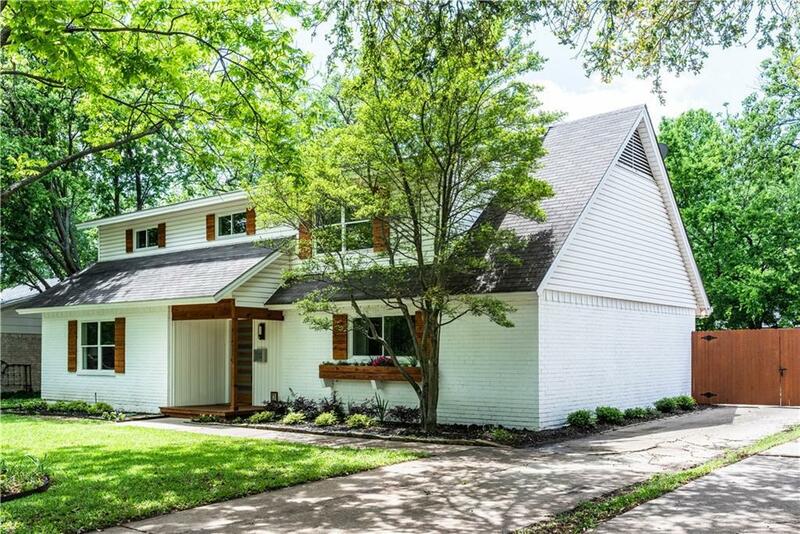 Modern 4 bdrm home in Richardson.Elevation updates include fresh paint, cedar accents, and a sleek new front door. Enter into open floor plan with flowing living room & dining room (or could be a study) that look into backyard with mature landscaping & new wood fence.The eat-in kitchen features quartz countertops & is big enough for family meetings! A second private family room is located on 1st floor with fireplace & french doors to patio. All 4 bedrooms are upstairs.Master bedroom reconfigured to include a walk-in closet & modern bathroom with sliding barn doors. Fresh paint, all new flooring, updated lighting, updated fence, new hardware, & new appliances. NOW PRICED BELOW AVM & ZESTIMATE. DEAL.